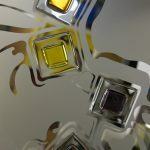 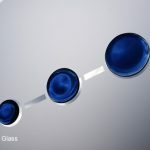 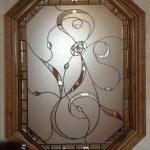 Below are some examples of our Shadows Of Nature – Hallhill Leaves design shown in various different glass sizes. 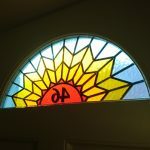 We can make this design in many different sizes using the original full design shown here. 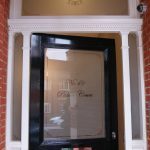 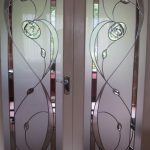 Glass can be ordered as single glazed toughened glass or double glazed units, again using toughened glass. 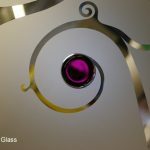 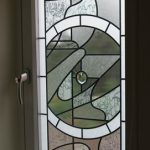 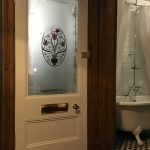 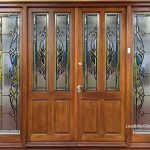 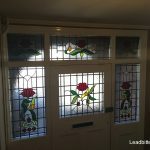 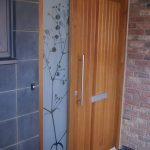 The background of the glass is usually etched with the Hallhill Leaves being clear glass but we can also create the glass with a clear background with the leaves being etched if privacy is not an issue for you.